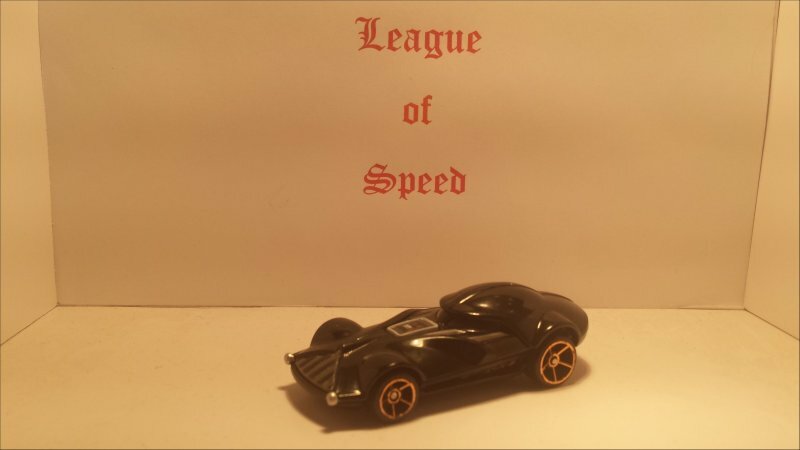 Speed testing Lord Vader before graphite and it's looking good so far. 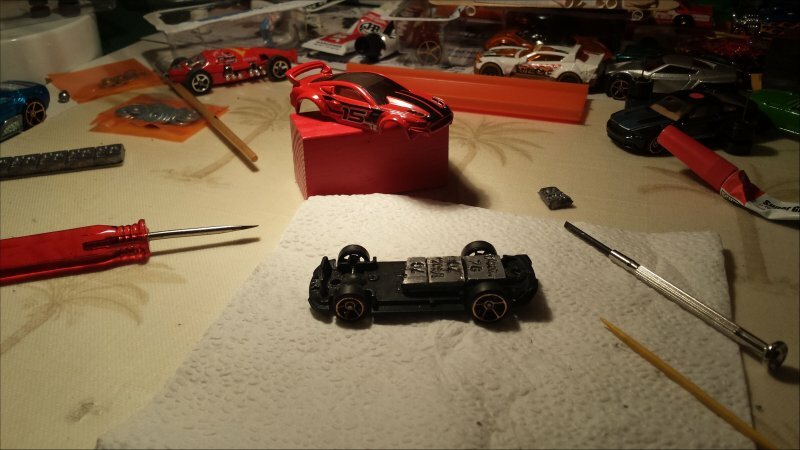 Got the Shoebox tore down and the FTE package is set to have the wheels sanded. 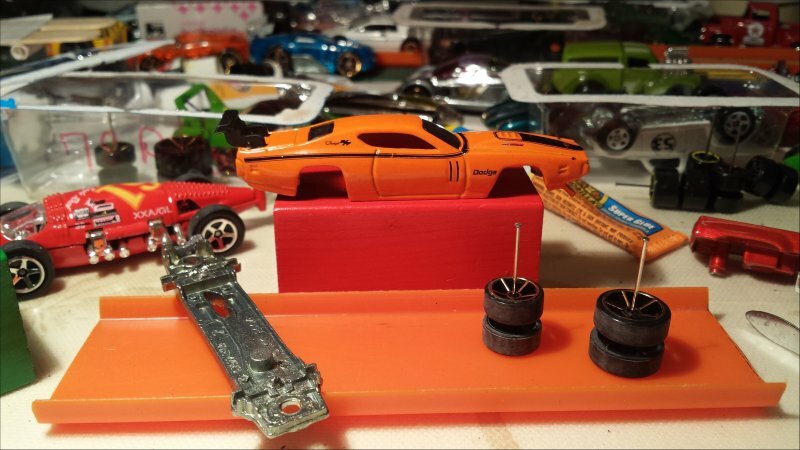 Got caught up on current race projects before a Saturday of graphite and speed testing to spend some time on some future projects...hopefully a dynamic duo sometime this year. Getting the '15 Custom Mustang ready for Bootleg Run...34g Stock so going to add 10-11g and install it's FTE package. 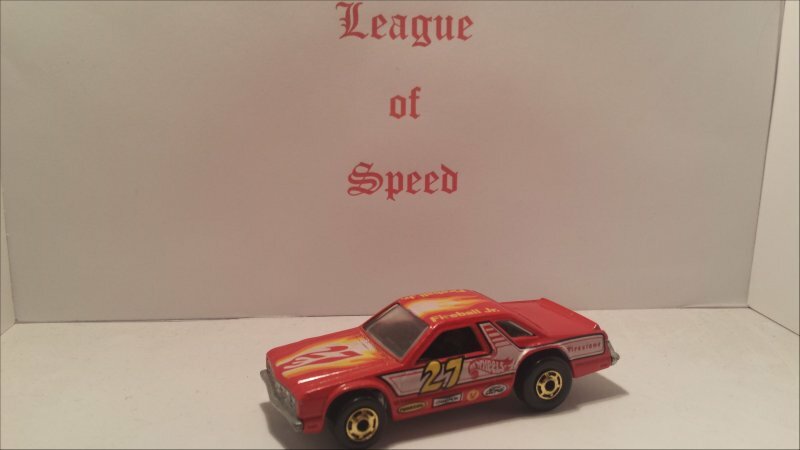 It was bought loose off Ebay in the hopes that it still had a few checkered runs left in it...alas, the better days are behind one of the better downhill racers in HW history. 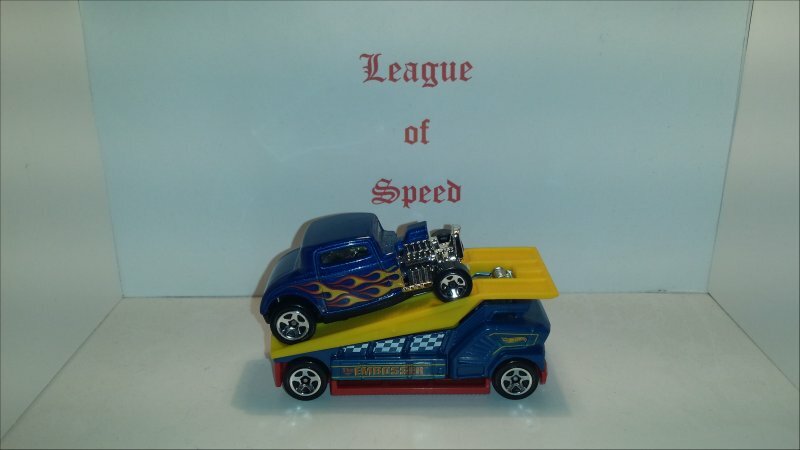 So, a great racing casting in the Front Runnin Fairmont will get an FTE package and about 7g of weight...and we shall see if a second racing life is born on the Modified Circuit. 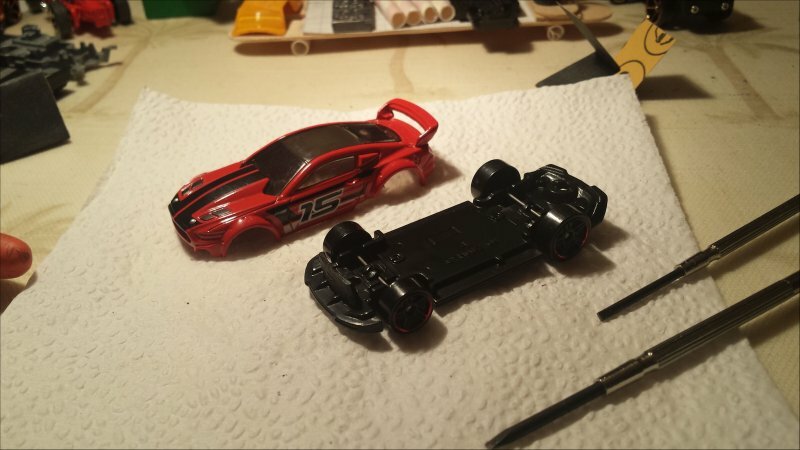 Bringing the '15 Custom Mustang from 42.5g to 56.5g post Bootleg Run. 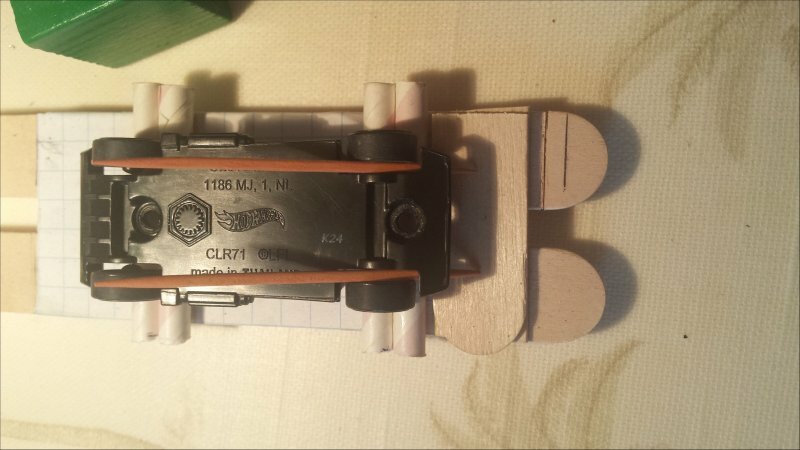 Had to tweak the axels a touch as well...some fine tuning. 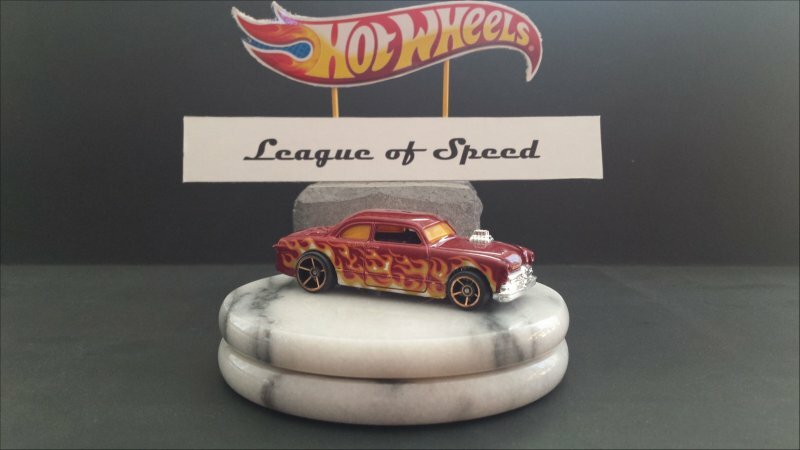 Got the 71 Dodge Charger Torpedo torn down and the wheels sanded...now to polish the axels and get it up to the 57g class. 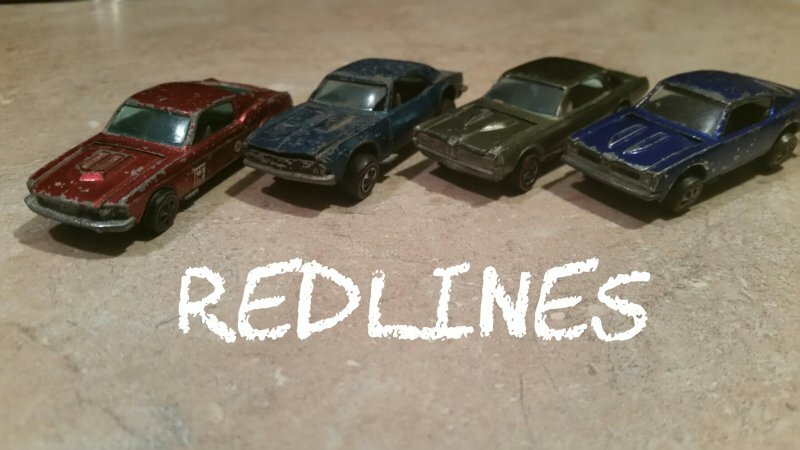 I've taken the leap into restoring a set of Sweet 16 Redlines. 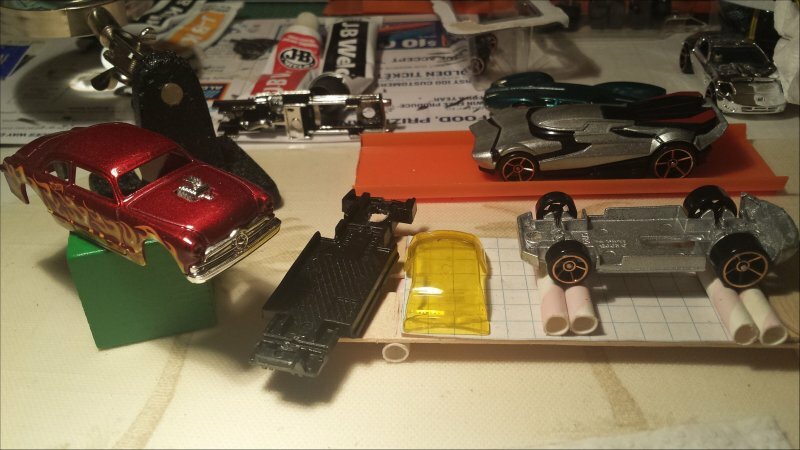 Here are the first 4 cars I'll be working on. 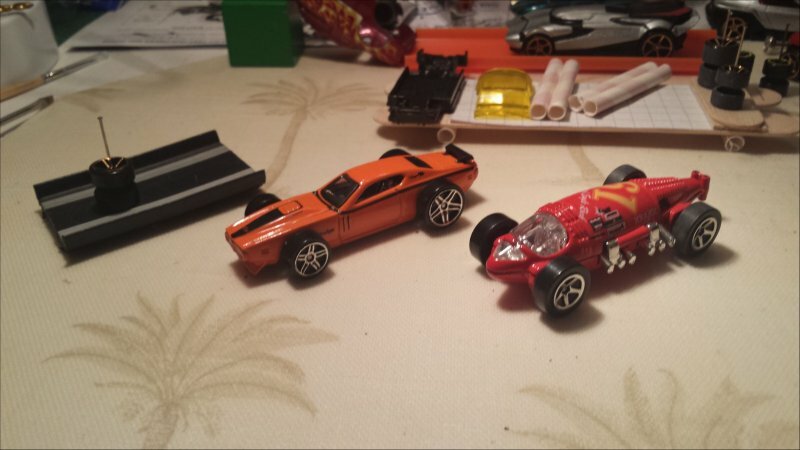 It's kinda cool because I has a Custom Cougar and a Custom Mustang as a kid! 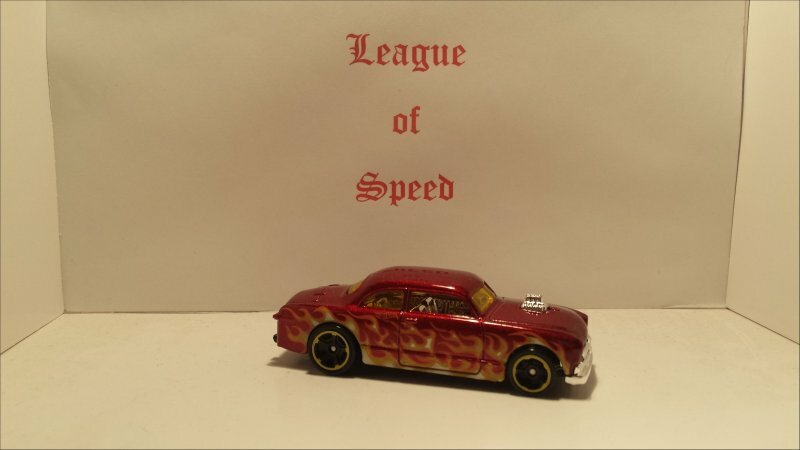 I'll probably do a build thread for these cars...I'm looking forward to messing with them! 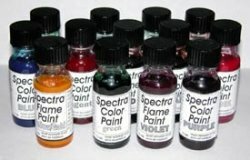 The Redline Shop sells some Spectraflame type paint.